After sleeping like a teenager with mono Friday and Saturday (12 hours each night), as well as grabbing about three hours of naps on Saturday - all due to a cold, I made a conscious effort to get out on Sunday and get some fresh air no matter how sleepy I felt. Naturally my fresh air delivery vehicle was my road bike, and friend Graham and I pedaled north into Camp Pendleton and back for an easy 36 mile ride this morning. No big deal, it's not uncommon to get those rides in on the all-too frequent mild weekend days here in C'bad. 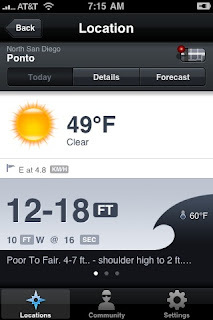 What is a big deal is the exceptionally high tide and big surf. 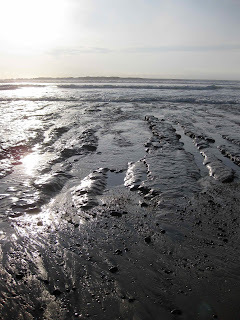 Pedaling through Oceanside we were both amazed by the impact the ocean was having on the local beaches. 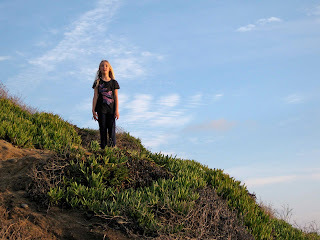 In fact, part of Carlsbad Blvd. 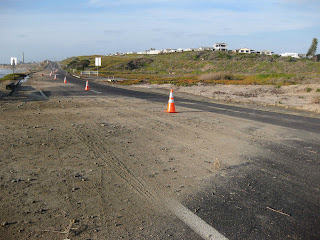 (aka Coast Highway) had some localized flooding, closing a lane with sand, rocks and - of all things - some kelp. 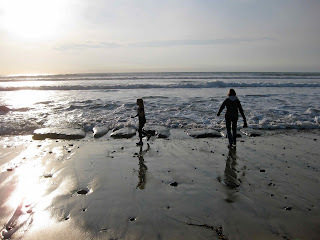 Naturally Celeste and Allie wanted to check out the aftermath, so we waited until the late afternoon low tide to explore. 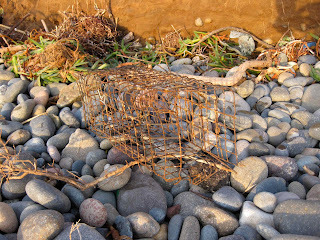 And what did we find? 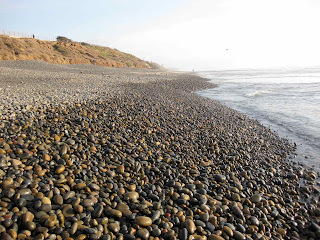 A favorite local beach completely changed, covered in smooth, black, mostly fist-size rocks. 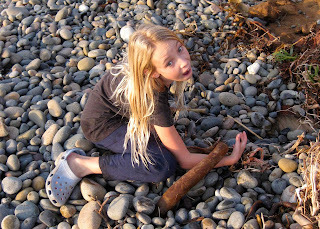 Now these rocks are pretty common in patches on our beaches, but not in this volume. 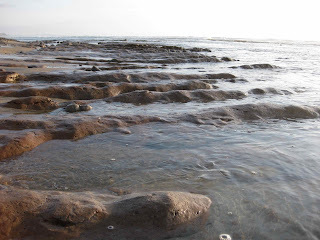 Drifts of these rocks left very little exposed sand. And hey, what's that little dot above the horizon in the photo above? Why it's a Zeppelin NT - the world's largest airship, 246' long (15' longer than a 747) and made in Friedrichshafen Germany - where the Eurobike trade show takes place. 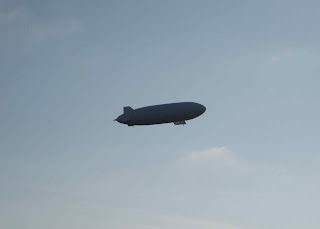 This particular Zeppelin NT (with a fully rigid structure, it's NOT a blimp) was in the area for a golf tournament at San Diego's Torrey Pines over the weekend. 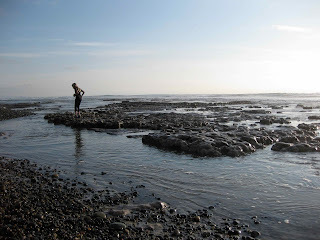 Anyway, it's always very cool to explore our beaches at very low tides, and today wasn't any exception. The low tides at lifeguard tower 28 always give way to some unique rock formations that are generally a couple of feet underwater. They're quite beautiful, like mini fjords. Except they're not in Norway. 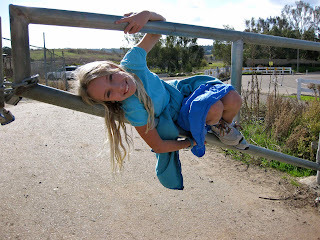 ...not that we ever try to stifle her curiosity - especially in regards to the natural world. 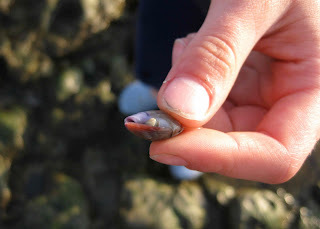 She brought back some cool rocks, shells and showed off this very tiny crab, pictured hiding in its shell. And by "octopus arm", I mean more kelp. Another good afternoon, spent all of five minutes from our house. Come out and visit, mmmkay? One of the most powerful car commercials, for the W126-body S-class. One of the best automobiles of all time. 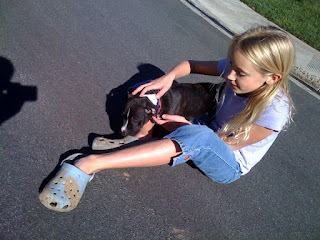 ...playing with a neighbor's eight week-old pit bull puppy "Cisco" for close to an hour. 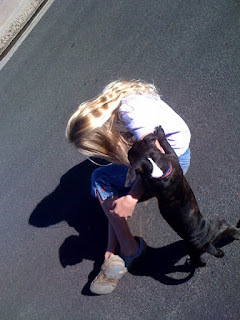 Good times, even if the little bugger had fun going after her hair. Okay, enough posts about cars for a little while (maybe until at least mid-week). Since I'm also a bike dork, I need to post some pedal-power. And where else to look but, er, Autoblog. 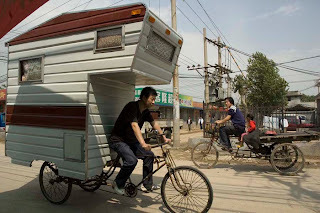 "Our initial reaction when laying eyes on the Camper Bike was, 'Ah, there go necessity and invention hand-in-hand again...' But we were wrong. 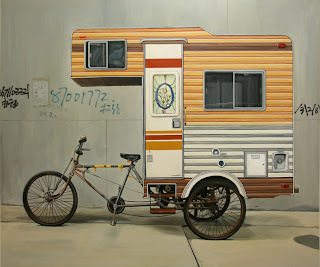 The Camper Bike – yes, with a fully working camper – is a 'functional sculptural piece,' which is to say, it's art. Reading a little further, though, we began to wonder just what kind of art: paintings of it come with slogans like 'Scaling the summit with the Motherland in your heart,' and 'Camping far out in the wilderness forges a revolutionary heart.' 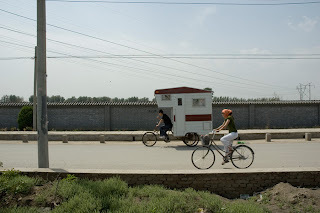 We don't know if that makes this a propaganda piece, but we do know that riding a bike fitted with a camper, in the city, is plenty revolutionary. After that, it doesn't really matter where you go. 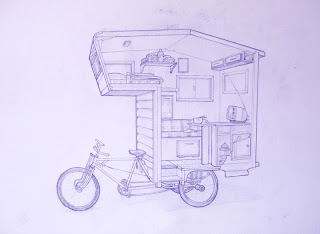 Click the link for more on the visual candy that is the Camper Bike." 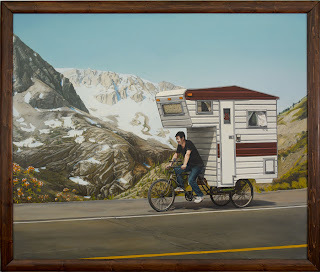 Personally I'm not sure I'd even want to pedal the trike up a mountain pass, not to mention carrying the several-hundred pound camper. 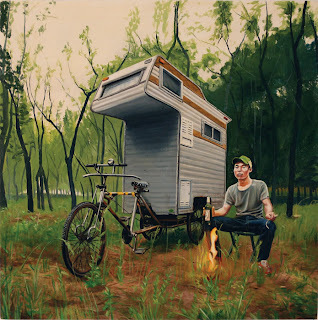 But how much better can you get than pedaling up to your makeshift campsite, building a campfire and enjoying a bottle of arsenic-tainted cheap Chairman Mao-brand liquor like a real man? I'm a bigger fan of this paint scheme, complete with mis-matched door. 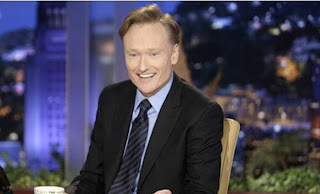 Watch the final episode of the Conan-hosted Tonight Show here. For as long as I have been driving, I've kept a mental checklist of cars that I'll own before I'm dead. These are all "obtainable" cars - no fantasy-garage fodder - and most can be found in decent shape for less than $10k in today's market. Allie and I have owned 13 cars during our seventeen years together. And during that time I've been able to strike a few cars off the list, including an original VW Beetle ('64), VW Bus ('68), Subaru WRX ('02) and a VW EuroVan ('01). Now that we don't live in a cold-weather region, a RWD car without traction control or other safety nannies can make sense. "E30"-generation BMW 3-series cars are relatively light, nimble, very-well built, powered by a sweet I-6 engine, inexpensive to buy, insure and repair. Even the parts cost no more than comparable VW parts. 1988-91s have a nicer looking plastic bumper, replacing the "diving board bumpers" from the earlier models. 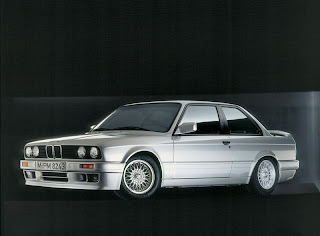 Too bad the ultimate E30 - the first-generation M3 models are so expensive. I mentioned the DS in a post last week. 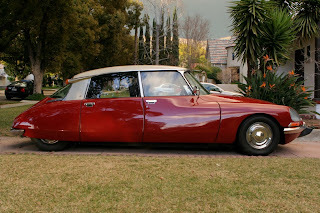 Stunning mid-century modern/space-age design, a funky and buttery-smooth riding hydropneumatic suspension and plenty of French quirkiness. The authentic reinterpretation of the iconic British roadster, sans-reliability and rust issues. Like the BMW E30s, they're light, cheap, nimble and plentiful. Who cares that some label these as "chick cars" - those people won't know what they're missing. 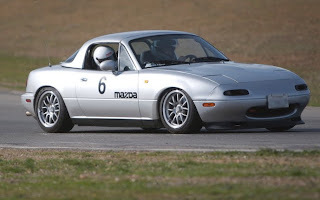 The 1994-97s are the last of the "NA" body style and had received some nice refinements from the early Miatas. I'll take one with a hardtop. Take it to the track! 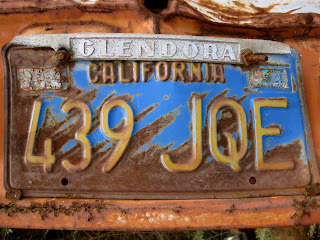 This one might have to wait until I'm about 60 or so - it's somewhat of an old-man's (or old lady's) car. 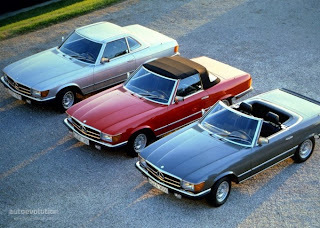 The R107-body SLs had an impressive 18 year run of this now-timeless design, during which it was available in the US with 4.5, 3.8 or 5.6 liter V8 engines. All silky smooth, and all unfortunately saddled with automatic transmissions. I'm not a big fan of convertibles, but what a great car for cruising Palm Springs or La Jolla. Screw it, I'll take one now. 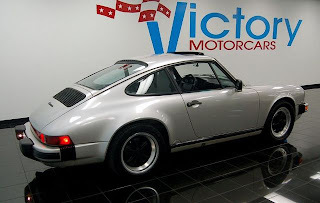 The most-expensive auto on the list represents the end of the run for the iconic 911. The last two model years of this sports coupe classic were spec'd with the upgraded G50 5-speed transmission, bolted to the air-cooled flat-six engine. 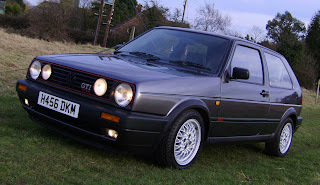 Mine will be like the one pictured above: a coupe, metallic silver, Füchs wheels and NO spoiler. This particular example is hovering at $20k on eBay at the moment and is just about as perfect as an automobile can be. The WRX wagon I drove from '04-'08 was arguably the best car I've ever owned. A super-versatile wagon that was super-capable in all weather conditions - especially when equipped with the seasonal snow tires. 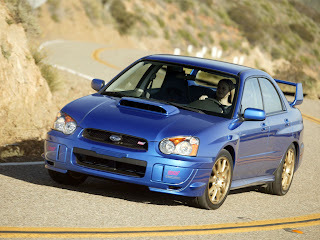 But the next WRX to grace my garage will be a 2005 STI propelled by a manic 300HP 2.5l turbo boxer engine. Delete the boy-racer bookshelf wing from the trunk and make sure it has the silver BBS wheels. Where can't an FJ40 go? Well, maybe the moon, but that's about it. 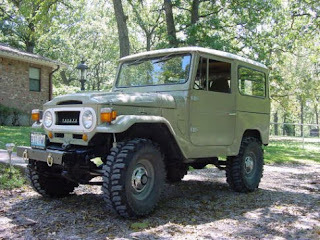 For true truckiness, the FJ40 can't be beat. 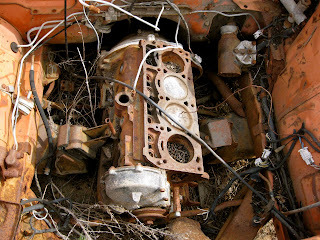 And Toyota's F-series engine can be repaired with no more than a rusty screwdriver and a pair of channel locks. That is, if you ever even need to repair it. This FJ makes the contemporary FJ Cruiser look like the bloated pig that it is. VW's "A2" chassis is my favorite. Still light and simple and free from the electrical gremlins that plagued A3 and A4s. The 2.0l version puts out a respectable 134 HP, enough for fun but not too much to get you in trouble. Oh yeah, a two-door wagon. The P1800 was Volvo's take on a sports coupe. Built around Volvo's indestructible B-series motor and wrapped in a taught, efficient body. 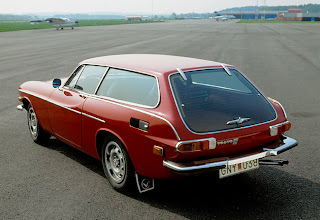 The ES ("estate") was only available during the last two model years, 1972-73, and offered a distinctive tailgate design which influenced the rear of Volvos C30 of the 2000s. Ask a driving enthusiast what's the best layout for an automotive drivetrain, nine out of ten will tell you it's a rear mid-engine style. With favorable weight dynamics, it's been the layout of choice for many grand sports cars. 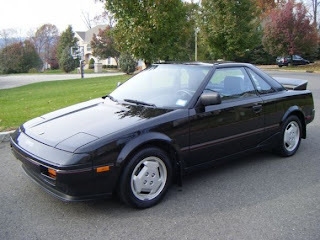 I'm a bit more modest and would be happy with an early MR2. Early Porsche Boxster prices have dropped precipitously over the past couple of years, it's now possible to find clean, low-mileage examples for around $10k. Okay, that's a lot of iron there. I better get on it and start knocking some of these off the list. Since I'm starting to get a little stir crazy due to the inclement weather, having only ridden my bike less than ten miles this week (for reference, I pedaled 140 miles last week), I attempted to burn up some of this excess energy by putzing around in the garage this evening. Yep - just as Angelo at Ritchey suspected when he saw the photo, the fork steerer tube is about 5mm too short for the stem. So off came one of my 5mm spacers to bring it all back in spec. Everything's back together. 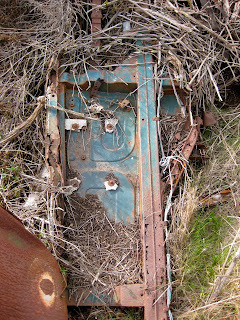 And while there's still a few milimeters of bolt protruding, it's nothing like it had been. A minute in front of the bench grinder will take care of the the rest, ensuring a flush finished product. So, it appears that the fork steerer was either cut too short or that the assembly factory put one too many spacers in the box. I didn't assemble this bike, an over-zealous temp employee who was helping out at the old company did so. Regardless, it's much better. 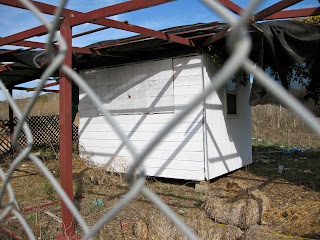 Thanks to Angelo at Ritchey Logic for pointing out what should have been obvious to this hack. Tom Ritchey's eponymous brand makes some pretty nice bike components, along with innovative folding bikes that don't look like circus escapees. Ritchey components are widely-spec'd in the bike industry - they're light, functional, relatively attractive, and, (the key part for cheapskate product managers without a house brand to fall back on) - affordable. 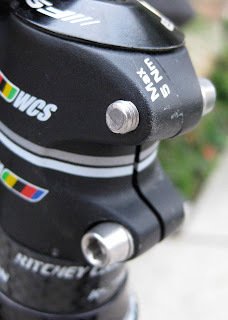 I've had plenty of bikes with Ritchey seatposts, handlebars and stems over the years. All have performed admirably, even if they weren't labeled with the trendiest brand. 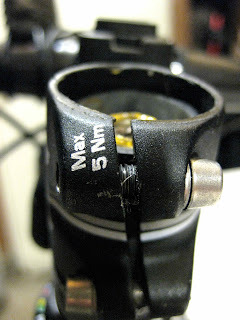 The upper stem pinch bolt. Sure, I'm not the most-graceful rider (after all, it is kind of hard to be graceful when you're 73.5" of pure lankiness with a healthy dollop of clumsiness) but still, think of our knees spec a *slightly* shorter bolt here, Tom. 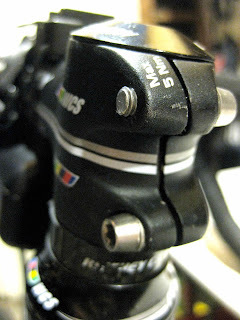 I've put a list together of the parts I want to swap out - this stem, as well another Ritchey stem on my cyclocross bike top the list. 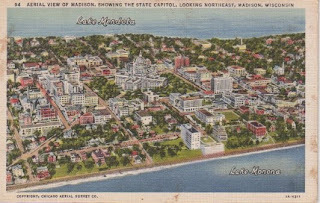 ...and in spite of Celeste's cold and Allie's lingering sickness, I suggested that we get out and do a little local exploring this morning. 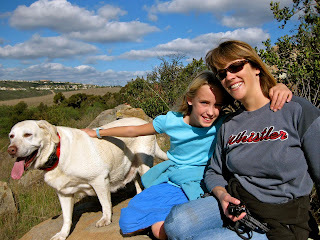 No Field Trips to San Diego or LA, we just took Juno all of five miles up to the Calavera Lake trails in Carlsbad. 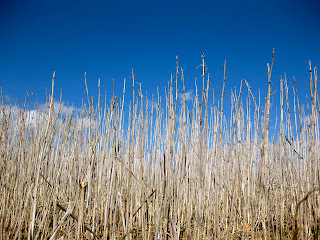 ...and walked down a dirt road to get on to some of the trails. Unfortunately Celeste didn't have a whole lot of energy, so we didn't get too far. 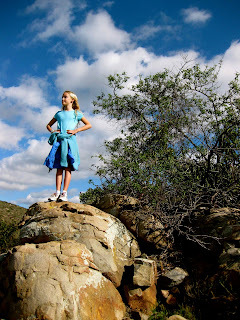 But the grrrls both needed and appreciated the fresh air. 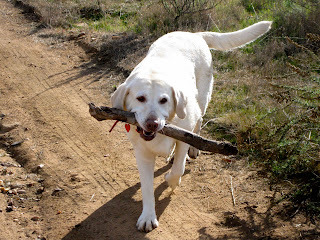 ...and, being a Lab, we pitched it down the creek over and over and over and over again. 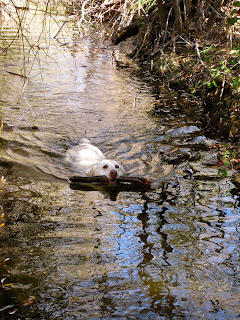 After all, it's unpossible to keep this dog out of water. We headed home after an hour or so, with a wet, stinky and happy dog panting in the back of the wagon. 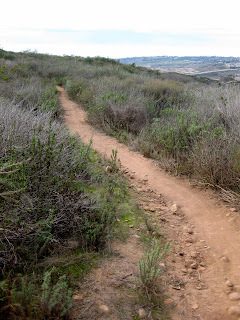 After lunch I returned with my bike, a 2.5 hour "hall pass" and the desire to get a better feel for how the extensive trails intertwine to form the fun network. 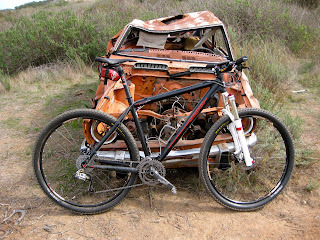 I've ridden Calavera a couple of times with a local friend as well as brought Celeste to the lake on the north side of the open space, but still didn't know it well enough to be able to fully navigate it solo. 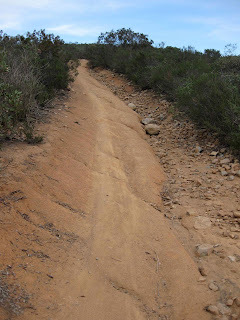 Most of the trails I rode today consisted of relatively-smooth and twisty singletrack on decomposing granite and surrounded by abundant California Sage. 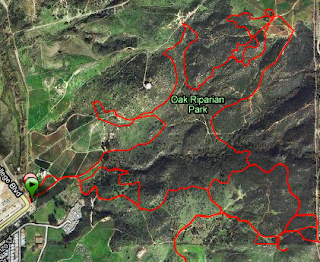 Minimal elevation changes and everything I rode today was in my bike's middle ring. 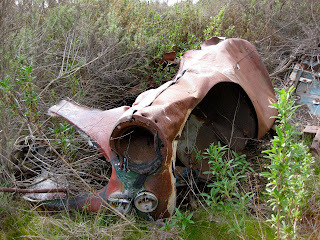 Being the car dork I am, I made a point of stopping to check out a long-abandoned Toyota. 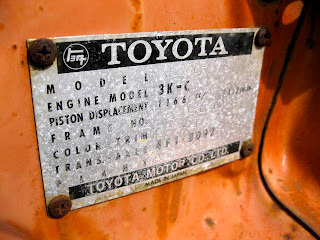 Amazingly, the '71 Toyota Corona my dad owned from 1976-85 had far more rust on it than this "KE20" (second generation) Corolla of similar vintage does. 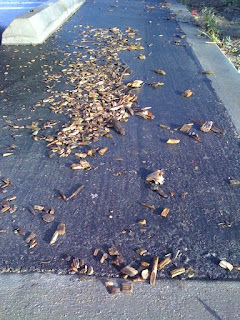 Early Japanese cars + Midwestern road salt = a very bad case of tinworm. 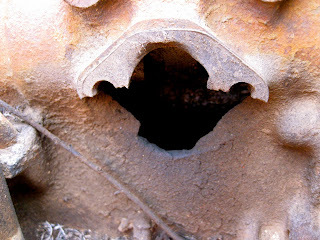 ...but the 1166cc (55HP) block had been "well-ventilated" - a thrown con rod perhaps? My hunch? Some small British roadster. The British Racing Green floor pans are a good clue. 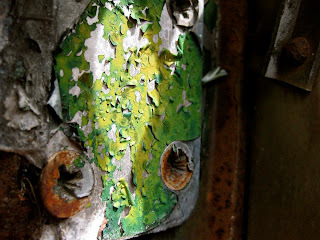 Nice flaking paint on the inner side of the door. All-in-all, I put in about nine miles and 1500' of elevation gain over an hour and a half of exploring the trails, sometimes doubling-back to better figure out how the puzzle pieces fit together. Not a bad way to spend the afternoon. Now this storm front needs to blow through quickly so I can head back next weekend.